Welcome to And finally, the place where we round up the best of the wearable rumour mill that you may have missed this week. We've got Apple Watch patents, Google Project Aura and some interesting updates heading the way of the PSVR. Read on to find out more and then head to our dedicated wearable tech news for the rest of the headline-grabbing stories. It appears your Apple Watch could be in line to receive some extra juice, with a patent uncovered by Apple Insider this week detailing a battery band that could appear in a future model of the smartwatch. 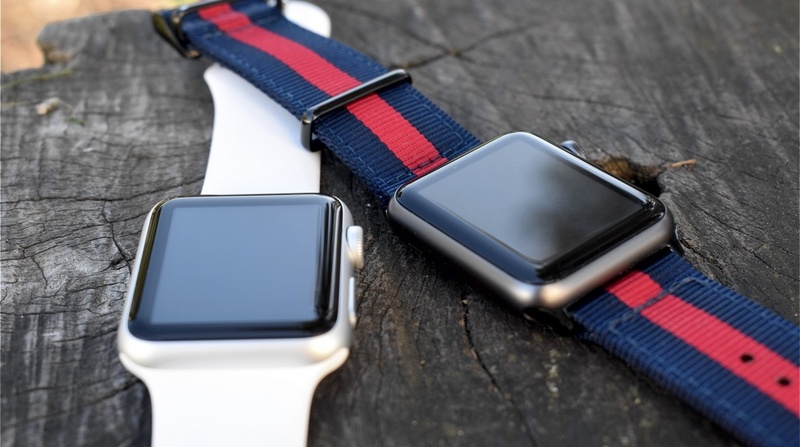 The accessory could help extend the current battery life of the Watch by a few extra days, which would help Apple to step up its sleep tracking game and let you leave that charger behind. We're fans of the Apple Watch, but its battery life is certainly one its biggest weaknesses, so here's hoping this one that is still in the works. According to TechCrunch, Jawbone has confirmed its leaving its UP fitness trackers behind in favour of building a health wearable and services aimed at clinicians and health providers. The struggling outfit has apparently been trying to raise more money to fund its move to medical-grade devices and has apparently already conducted discussions with current backers and potential new investors. It's not the first time we've heard rumours of Jawbone turning its back on fitness trackers, but here's hoping it still offers a helping hand to those disgruntled UP owners who are still not having much luck with the company's less than helpful customer support service. Researchers at Tel Aviv University are working on software that it hopes will enable any smartwatch or fitness tracker to verify handwritten signatures. Using motion data from the sensors built into your wearable, the software will be able to identify and verify the movement as you sign and determine whether it's verified and legit or it's been forged. Tests carried out apparently detected forgery at a high level of accuracy and the researchers have applied for a patent to further develop the system. A patent filed last September shows how Google is potentially looking to install accident recovery features into Project Aura. It's all very science-y, but the filing essentially details plans for an optical sensor, which can perform diagnoses based on eye response in the event of injury or accident. There are four methods of diagnosis outlined: an eye response test, a verbal response test, a visual diagnostic test and a motor response test. If an inadequate response or severe injury was found, the wearable would attempt to contact emergency services. Impressive. Despite 3D TVs never really becoming a thing, Sony's Playstation VR is now a viable outlet for all the 3D Blu-rays you have stored away. The move, which is currently in beta testing but expected to roll out in a few weeks, effectively turns the PSVR into your personal 3D TV. It's also the latest in a range of video-centric updates for the gadget, with 360 degree video support also recently added to Sony's virtual reality headset.